Discover some of Spain's most beautiful cities, including Valencia, Zaragoza and Barcelona in 4 days from Madrid. On a sightseeing tour of Valencia, see the City of Arts and Sciences (Ciudad de las Artes y de las Ciencias) as well as other top attractions. In Barcelona, visit the Park of Montjuic and admire views of the Olympic Ring and the old Gothic quarter. During your free time, don't miss Gaudí’s masterpieces such as La Sagrada Familia and Park Güell. 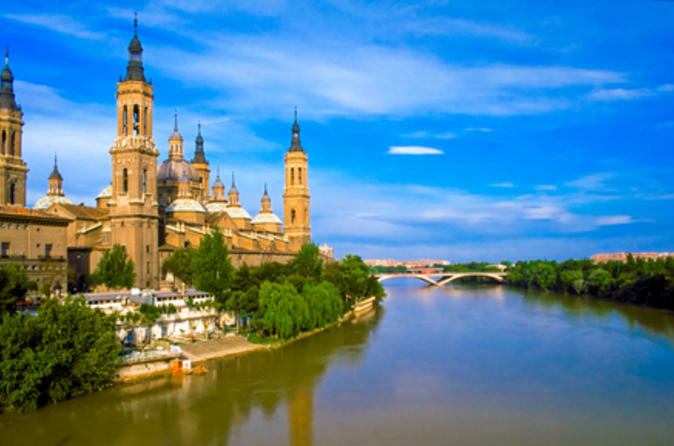 As an added bonus you’ll stop in the fabled city of Zaragoza on your return to Madrid. In Zaragoza, discover the Basilica del Pilar, La Seo Cathedral and the Aljaferia Palace at your leisure. Throughout your trip, learn interesting facts about the cities from your expert guide. Accommodation and transportation between sites are included. Leave Madrid behind and embark on a 4-day trip to some of Spain's loveliest cities: Valencia, Barcelona and Zaragoza. Admire the beautiful landscape as you travel by AVE, high speed train to the Mediterranean city of Valencia, where you’ll take a short panoramic sightseeing tour and see the City of Arts and Sciences (Ciudad de las Artes y de las Ciencias) among other sights. Have time to explore more on your own; you may join an optional walking tour and visit the Silk Exchange and the Fallas Museum at additional cost.